Selinger is the choice of corporate audiences on five continents for more than ten years. 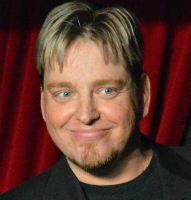 A winner of six international awards, Derek has “wowed” royalty and the corporate elite, honing his skills as a first-class entertainer in front of millions all over the world on six major television networks including the Discovery Network, Fox News, CTV and Global. Can you name the last corporate event you attended where the entertainment had you on the edge of your seat, fully engaged, eyes wide open in amazement? Participate in this powerful multi-sensory experience. 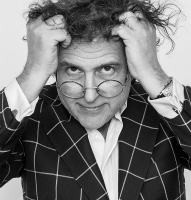 Laugh, relax and enjoy a master entertainer who can blend his wonderful sense of humour and quick wit together with your unique group of individuals to create one-of-a-kind memories and spark water cooler discussions for the rest of the year! This exciting illusion stage show is designed to be the ideal length to captivate the attention of a corporate audience with an explosive expression of spectacle and imagination. Someone could read your thoughts at any given moment? You could witness a woman materialize out of thin air in the blink of an eye? Your heart pounded so loud you could hear it as you watched someone manipulate the fragility of life before your very eyes? That’s how many marketing messages experts say each of us receive every day. On top of that, a host of other voices are constantly trying to get our attention. Our partners, kids, friends, associations, bosses, clients, colleagues, governments…and the list goes on. If there are so many voices vying for our attention, logic says the same is true for those you are trying to speak to. It’s a noisy world, and it’s difficult to be heard. Is it possible to increase your chances of being heard amidst the noise? Join master communicator Derek Selinger for an inspiring look at how some simple, small changes to how you communicate can make you exponentially more effective. 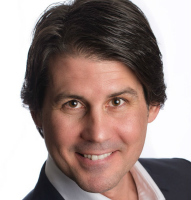 Derek is an award-winning entertainer and filmmaker, and his work has equipped him with a tried and true perspective that will forever change the way that you approach communication. 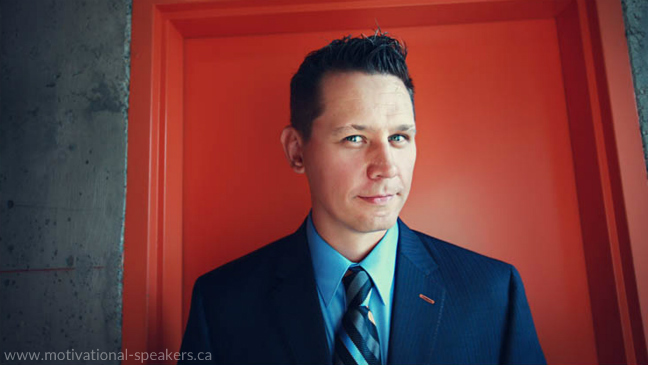 Derek will entertain you, he will inspire you, and he will share practical ideas that can be implemented immediately. Corporate culture has invested billions in becoming more efficient and streamlined. It divvies up any extra profit to lure and keep top talent, while fighting the good fight against low employee engagement, a tough economy, and a steady stream of technological changes. So, what matters to the people actually doing YOUR business right now? What kinds of ideas will spark their enthusiasm for their work in such a way that it burns brightly enough to increase their current performance and engagement, AND can also grow into an all-consuming passion they can nurture over the lifetime of their careers? Fortune Magazine’s “Best 100 Companies to Work For” article shows over-and-over again how companies lose talent, engagement and ground, when they that allow their employees to feel as replaceable as parts in a machine that can simply be unscrewed and swapped out whenever the notion strikes senior management. This pattern of thought, which Derek Selinger calls the “assembly line mentality”, is as archaic as the industrial revolution, yet it is still pervasive in corporate culture today! Derek exposes how ineffective the assembly line mentality has become and establishes that every single person in your organization has an opportunity – and an obligation – to shine in the workplace. He does this by teaching his audience “The Spotlight Mentality”: how to use position and perception to create their very own peak performance in work and in life. 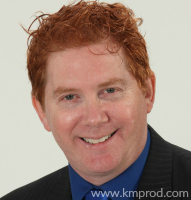 Derek Selinger is represented by K&M Productions. For more information, Derek Selinger's speaking schedule, fees & booking Derek Selinger, contact us. As you well know, we are in the broadcast business and our staff can be tough critics as we seem to think we know the “in’s and out’s” of show business. I’m happy to say that your performance wowed even our toughest critics! Derek will have your crowd repeating to themselves over and over “how did he do that? I happily recommend Derek’s performance to any corporation or group that wishes to experience a first class magical evening of entertainment – up close and personal. The entertainment by Derek Selinger was a definite success. The willingness and ability of Derek to be our event host as well as entertainer made the event go much more smoothly. Derek’s professionalism throughout was perfect. He was accommodating and respectful, and of course, Derek’s illusions were superb—people were talking about it for days later and saying it was the best evening’s entertainment this annual conference has ever had. As conference organizers, we were thrilled that your presentation was so much more than a magic show. The show was absolutely fabulous and everyone enjoyed themselves immensely. The raves are still coming in. When you captivate an audience of 600 people for an hour and a half, you know you have done well. Most importantly, we appreciated how you tailored your presentation to our business and made connections between what you do and what we do. The short manager session following the keynote presentation was most appreciated. My senior team of leaders felt privileged to be able to meet you after the show.